There’s nothing like enjoying a warm, cozy fire on a cold winter’s day. 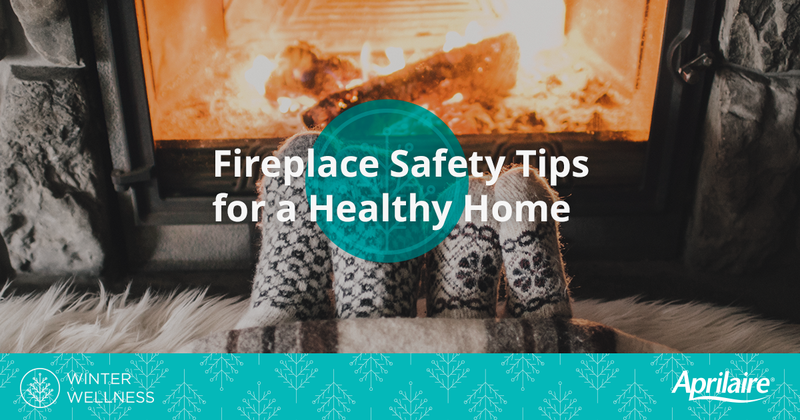 But to keep your home comfortable all winter long, it’s important to consider how your fireplace might be affecting your home’s indoor air quality. Fireplaces, as well as wood and gas stoves, release dangerous pollutants into the air, like carbon monoxide, nitrogen dioxide, and other particles. Use smaller, dry pieces of wood to ensure a hotter and cleaner burning fire with less smoke. NEVER burn wet, treated, or painted wood. Cool the chimney by keeping the glass doors open, but keep the screen closed to prevent sparks from jumping out. Make sure the area around the fireplace is clear of anything flammable. Never leave a fire unattended when children are in the house. Install a safety screen to minimize any chances of burns if you have small children. Communicate the dangers of fires and heat as early as possible to your children. Install both smoke and carbon monoxide detectors, testing them monthly and changing the batteries at least once a year. Always keep a fire extinguisher on hand and be sure it is easily accessible. The firebox should be cleaned out at least once per week when the fireplace is in use. Coals can remain hot enough to start a fire for up to three days, so wait at least that long before removing any ashes. Levels of ash should be kept to one inch to act as insulation and allow the coals to heat faster and retain heat easier. Be sure to close the damper to prevent cold air in the flue from stirring up dust while you’re removing the ashes. Wear a dust mask and open a window to prevent negative air pressure. The firebox should be kept completely clean when the fireplace is not in use. Have a certified chimney sweep inspect and clean your chimney at least once a year. Checking your chimney for animal nests or blockages is important even if it isn’t due for a cleaning to ensure the smoke can escape properly. It’s essential to clean and inspect your fireplace and venting system to protect your air quality. Even properly-kept fireplaces can release harmful emissions into your home. Aprilaire air purifiers can filter and remove damaging particles released from fireplaces to help your family breathe easy all winter long.